This year we meet Saki Fujita seiyuu twice in two yuri animes, yay! 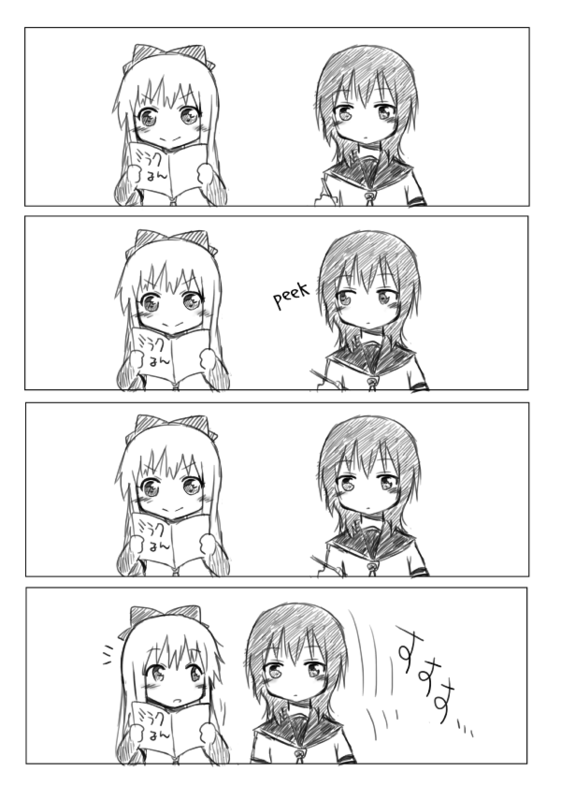 It’s no doubt that she’s double tsundere queen =]]. Honestly, I really want to see Tsun-Tsun couple will act serious lovey-dovey like this one more than those nonchalant/fanservice moments in the anime. 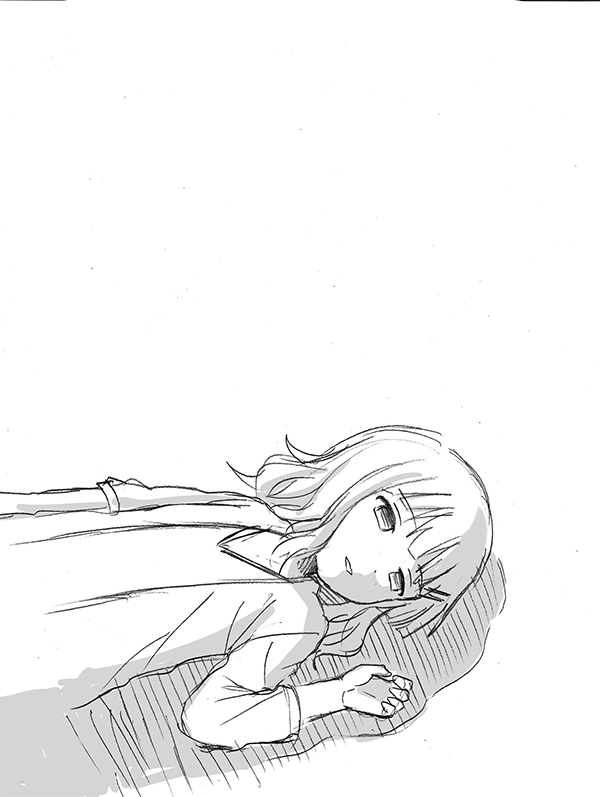 Maybe, Sakurako is so baka to realize her feelings for Himawari. They’re still middle school students, aren’t they? 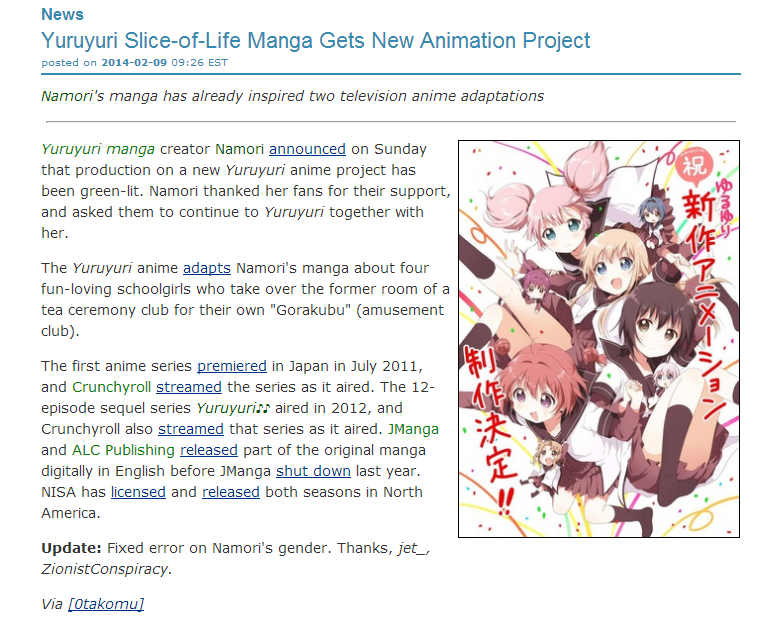 Well, Yuru Yuri season 3 will start in Summer or Fall Anime season, I guess. 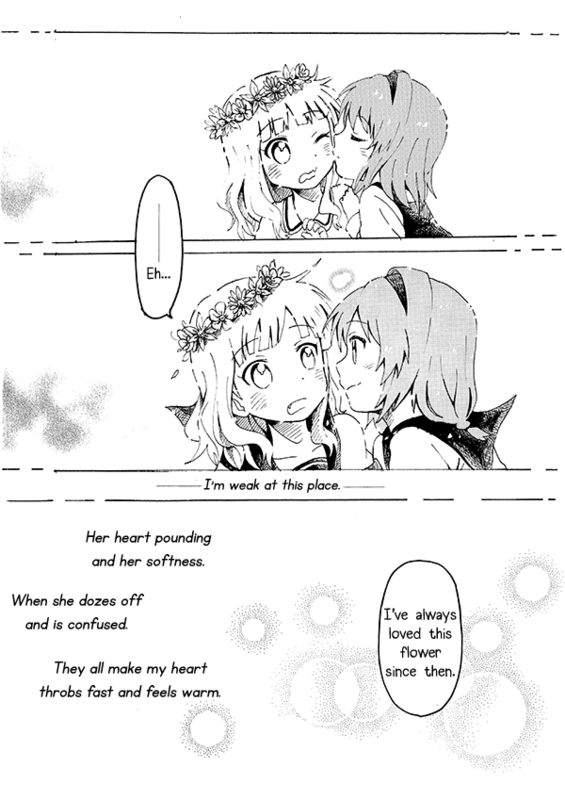 Let’s hope for more yuri moments for both of them. The art and story by Shin Yandamushi. I want to taste Himawari’s cakeeeeee (─‿‿─)! !